There’s nothing worse than submitting work or sending an email only to realize after the fact that there’s a typo in it. Making use of writing enhancement software can help you avoid these mistakes. Writing enhancement software will help you correct grammar and syntax mistakes and some will even help provide you with informative editorial comments. 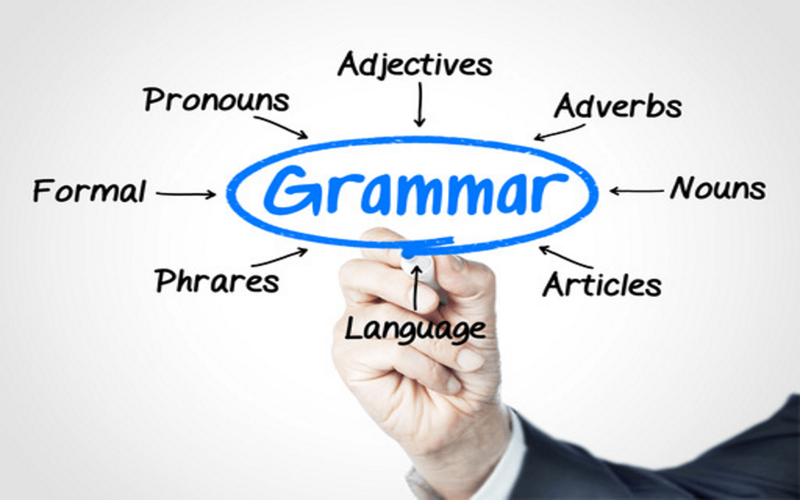 Read on to find some of the best grammar software on the market! WhiteSmoke offers a program that will track and correct veritably any text you type on your computer. 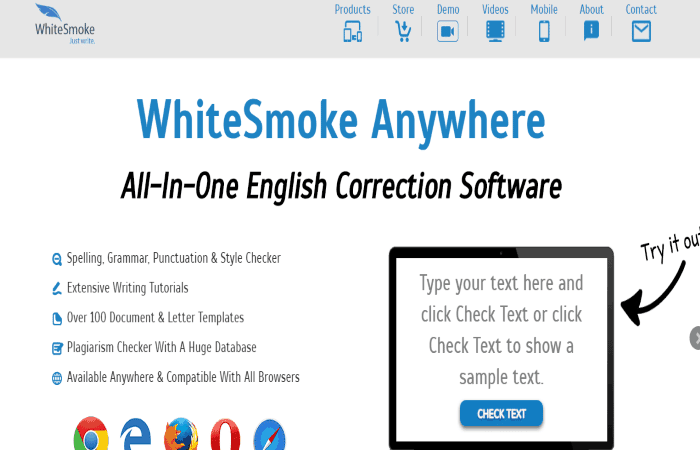 Using its database of millions of spelling and grammar corrections, WhiteSmoke offers real-time grammatical and spelling corrections, as well as syntax and structure suggestions. Beyond this, WhiteSmoke also offers writing tutorials and commonly used writing templates to help you build your skills. WhiteSmoke will also generate customized writing reports, which include an overall rating system. It also rates the text in six separate categories including sentence length, sentence structure, redundancy, voice, informal expressions and word choice. 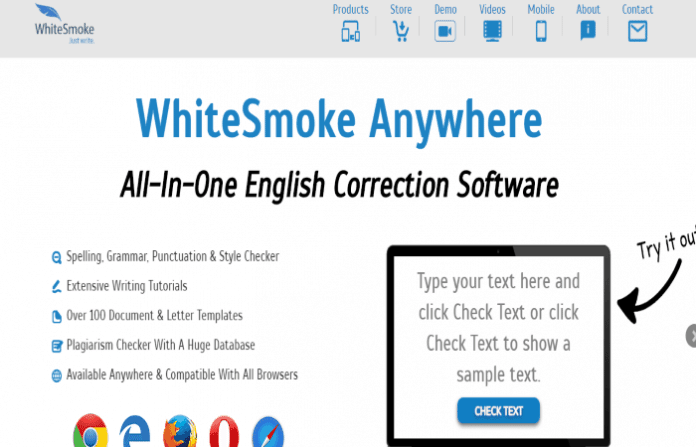 One of WhiteSmoke’s few downfalls is that it does not offer a plagiarism checker. 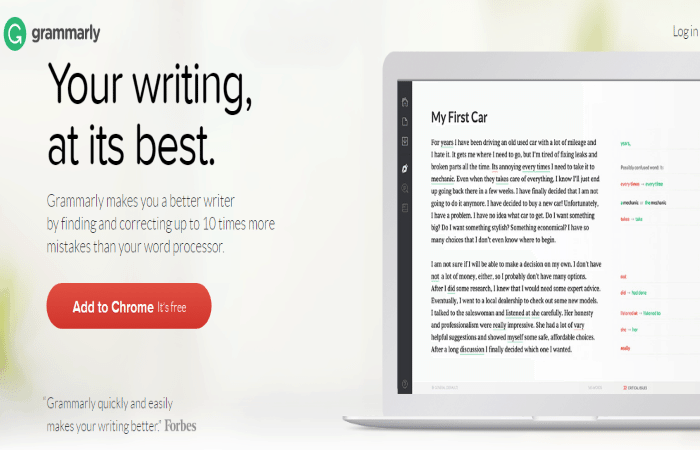 Grammarly Premium is writing enhancement software that offers a variety of tools to help improve your writing. Not only does the program scan your text for more than 250 different types of grammatical errors in six different writing genres, it also provides great perks such as informative flashcards and a stellar, community-drive Q&A section on its website. 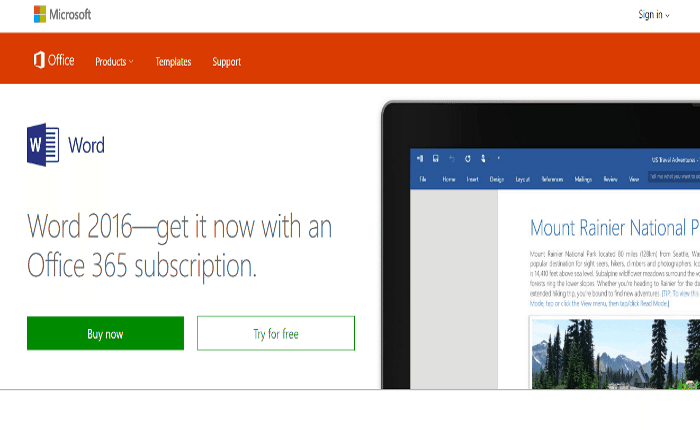 Grammarly can be used in a web browser or as a Microsoft Office add-on. Both options offer easy to use, intuitive layouts and offer help with the click of a button. Grammarly rated as having one of the most exhaustive grammar checks on the market today, which is a boon to novice and experienced writers alike. Unfortunately, Grammarly’s Microsoft integration is not available on Apple products, which may make it less appealing to some. Writer’s Workbench is unique in how it offers users an in-depth analytical report and allows users to decide what to change. Available only in conjunction with Microsoft Word, Writer’s Workbench offers almost every tool you can think of to help you with your writing skills. Writer’s Workbench also offers detailed explanations and learning assistance for every linguistic tool it offers, which will help you become a better writer by understanding your mistakes and not blindly accepting the programs’ suggestions. 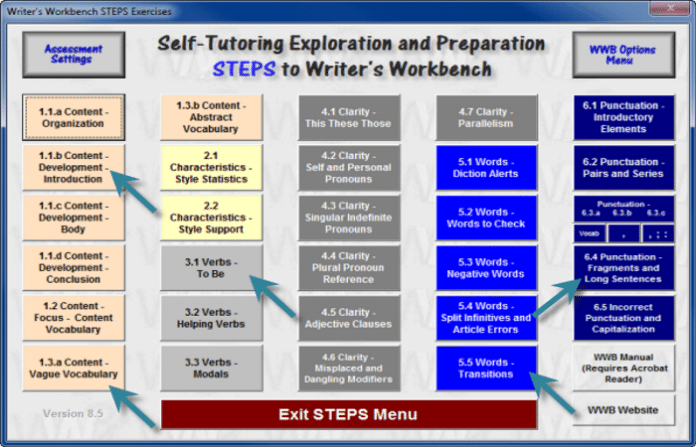 While there is a bit of learning curve when it comes to learning how to use the program, Writer’s Workbench is unparalleled in its analytical offerings. This program is designed for academic use, so you will notice that it is a bit more demanding and intrusive than other software reviewed. While this can be a great help, some users may find Writer’s Workbench insistence of rerunning the analysis until it deems the writing acceptable a bit tedious and unnecessary. Because of its ubiquitous presence, Microsoft Word may often be overlooked as writing enhancement software, but there is good reason to reevaluate your views on it. Microsoft Word has loads of smart, helpful features and a powerful grammar checker that can rival many standalone competitors. As the premiere word processing application for three decades, Microsoft Word has had the time to iron out what its users want. Because of this, it has expanded in scope and capability to include many of the most sought after tools. The downside of Microsoft Word as a writing enhancement software is that it does not offer writing tutorials and is often inconsistent in catching more advanced grammatical errors. StylerWriter4 allows users to choose what you would like the program to check for, which can be very handy if you’re using a glut of unusual acronyms or looking for something specific, like passive voice. StyleWriter4 is exclusively of English usage and focuses only on issues found in English writing. It comes in several versions to accommodate U.K., U.S.A. and Australian variations in spelling and it offers a smart-spell editor that allows it to pick up subtle errors in your text. 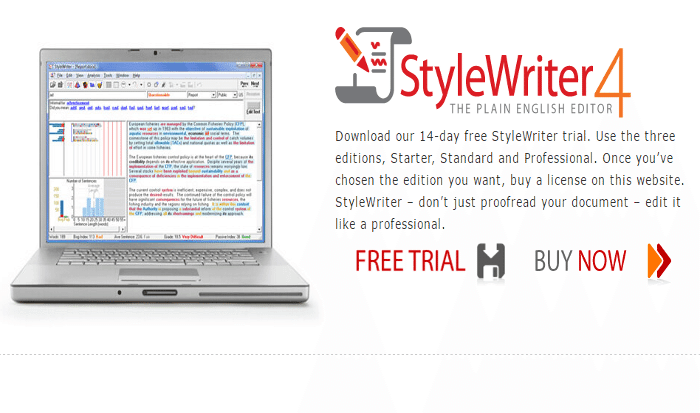 Of course, if you make use of any other languages, StyleWriter4 will simply not be an option for you, since it does only deal with English.